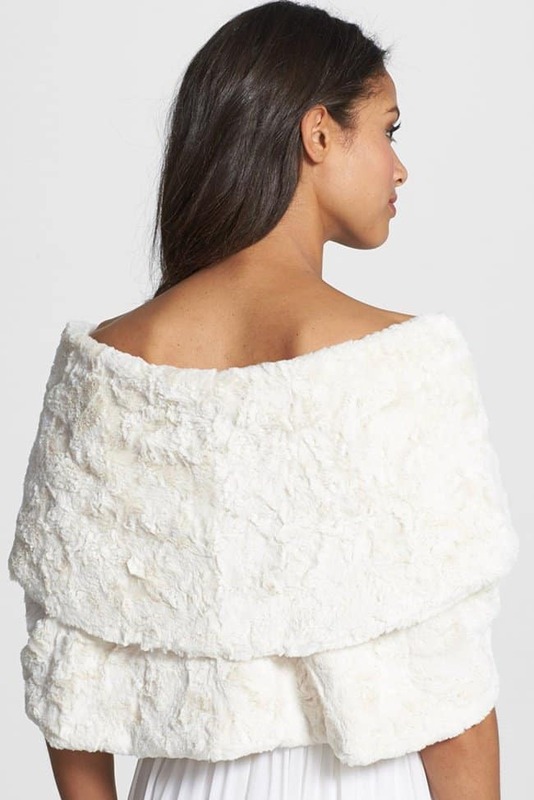 We like fur, though honestly, we like faux fur rather than anything else. We love the kind of elegance and glamour one gets out of rocking, say, a fur coat or a fur scarf. It’s no secret that wearing fur is like sporting a crown on your head. It’s a statement piece meant to be noticed. And because it attracts so much attention, fur requires little to no other decoration. Speaking of fur, British model, Abbey Clancy was spotted sporting a healthy dose of white fur for Nick Grimshaw’s birthday party last week. The leggy blond arrived at the event in an all-black attire decorated with nothing but a chunky and furry white topper. It was obviously a fur vest, only, it had a series of “tails” hanging from it, making Abbey look a little strange. The silhouette it created was unusual, and she looked like she was drowning in the piece. Can you appreciate the outfit? Did Abbey Clancy just overdose herself with fur? Simply use the stole over an all-black outfit just like Abbey’s, and you’re all set. Finish the mix with a black purse and some black heels, and et voila, instant fabulousity.